Hungary is a country of 10 million people located in Central Europe. It is entirely landlocked, sharing borders with 7 of the neighbouring countries. Hungary is known for the largest lake in Central Europe, and the natural grasslands in Europe. It has made it’s significance by having the largest thermal cave system in the region as well. Historically, history of Hungary is immense, and the country is culturally significant for Europe in the areas of the arts, music, literature, sports and science and technology. Despite being one of the smaller European countries, Hungary has many opportunities to offer to international students. The country has a long tradition of higher education, with some of the oldest universities in the world. Over the years, the country has become a sought after hub for students willing to study abroad. Having a strong focus on internationalisation, Universities of Hungary offer high quality degree programmes. Hungarian higher education has earned a well repute in science fields, such as medicine and dentistry. Degrees of bachelor, master or doctoral level are available at a Hungarian institution. One of the Hungary’s universities is among the top 500 in the 2019 QS World University Rankings top 500, and 6 are in the top 1000. Among these is the University of Szeged, placed at 470th, and University of Debrecen, which is placed in the 601-650th group. Budapest, the capital city of Hungary, is home to over 1.7 million people. Budapest is often called one of the most beautiful cities in Europe, and has many renowned museums and cultural institutions. The city centres along the Danube River, which is a UNESCO World Heritage Site. 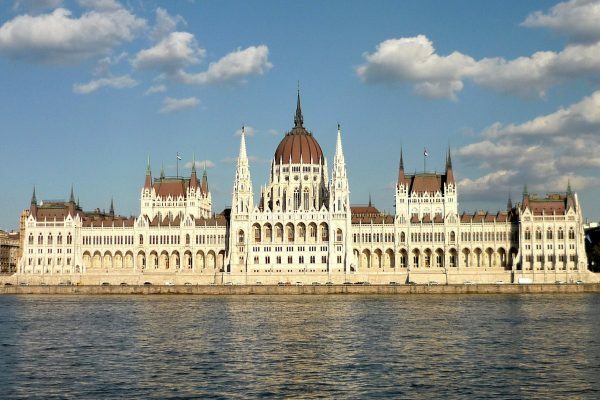 Other famous monuments in the city include the Hungarian Parliament, Buda Castle and the Liberty Statue. Restaurants in Budapest serve the diverse Hungarian cuisine, offering a variety of regional traditional dishes. Budapest has more than 35 higher education institutions. Students can opt from a wide range of courses offered by these institutions; medicine, dentistry, veterinary programmes and engineering. Many of the institutions offer courses in Hungarian, German, English and Dutch, as well as French. The Corvinus University of Budapest, the Hungarian University of Fine Arts and the Semmelweis University are among the prominent universities in the city. Hungarian is the official and national language of Hungary. Degrees at all levels are offered in English and Hungarian. However, postgraduate degrees are more commonly taught entirely in English. Students having previous education in a non-native language will need to provide evidence of English or Hungarian proficiency. If the required standards are not fulfilled, students can take the language courses offered by the institutions. Being in Hungary, one should make an effort to learn as much Hungarian as possible to easily adopt the Hungarian environment. Besides that, this is a skill that will look great on your CV/resume! The Hungarian higher education runs on a network of colleges and universities. The colleges are directly affiliated with a university and operate as college faculties of the university. Since 2005 and 2006, Hungarian institutions of higher education adopted the regulations of the Bologna system. In the new system, both colleges and universities need to comply with the necessary requirements in order to launch a bachelor, master, or doctoral program. As Hungary is a part of European Union, all the awarded degrees are equivalent and transferable throughout the EU and many other countries. The Hungarian academic year spans from September to June. Long holidays are scheduled from July till August. Managing finances is the prime concern for students willing to study abroad. The currency of Hungary is Forint (HUF). The tuition fee depends on the location and level of study. Students from an EU country may be able to apply for a state-funded place. For international students numerous scholarships are provided by the Hungarian government. On average, you should expect to pay between $5,500/€4,900 and $15,000/€13,200 per year. You should also expect to pay application/examination fees of around $500/€440. Living costs again are subject to the location you choose to live in Hungary. Living in the main cities cost more than living in a smaller city or town. Some students in Hungary prefer to live at the dormitories, which is usually a cheapest alternative. Others prefer to find a place by themselves which is located in the more central parts of the city. On average, your annual budget should be between $7,200/€6,400 and $10,500/€9,300. This accounts for accommodation, groceries, travel and any other necessary expenses. International students also need to pay for health insurance. If you are a European Health Insurance Card (EHIC) holder, you will be able to access the same healthcare as Hungarian citizen at a reduced cost. Students on a governmental scholarship might be able to apply for a social security card (TAJ card). This allows access to most public healthcare for free. If you are not eligible for any of these, you will need to purchase a health insurance policy. Health insurance policies are offered by some institutions, but one can purchase a private policy also. In Hungary, some study programmes are taught in German. A German language certificate is required if you opt for those courses. for some programmes, proof of prior professional experience is required. A face-to-face or Skype interview (mostly for Master’s studies. Generally, you can upload all the required documents online, on the page of your chosen programme. To make sure you have all you need, you can contact the university to ask them if there is anything else you need to do. Note that Hungarian universities perceive an application fee between 100 and 150 EUR. Once accepted you will be notified by an e-mail or post. The following steps to be taken will be mentioned in that post/email. If you are a fee-paying student, you will be asked to transfer at least part of the tuition fee before your enrolment. When you get to Hungary, you will need to apply for your residence permit within 15 days. This is necessary even if you are a EU/ EEA resident.